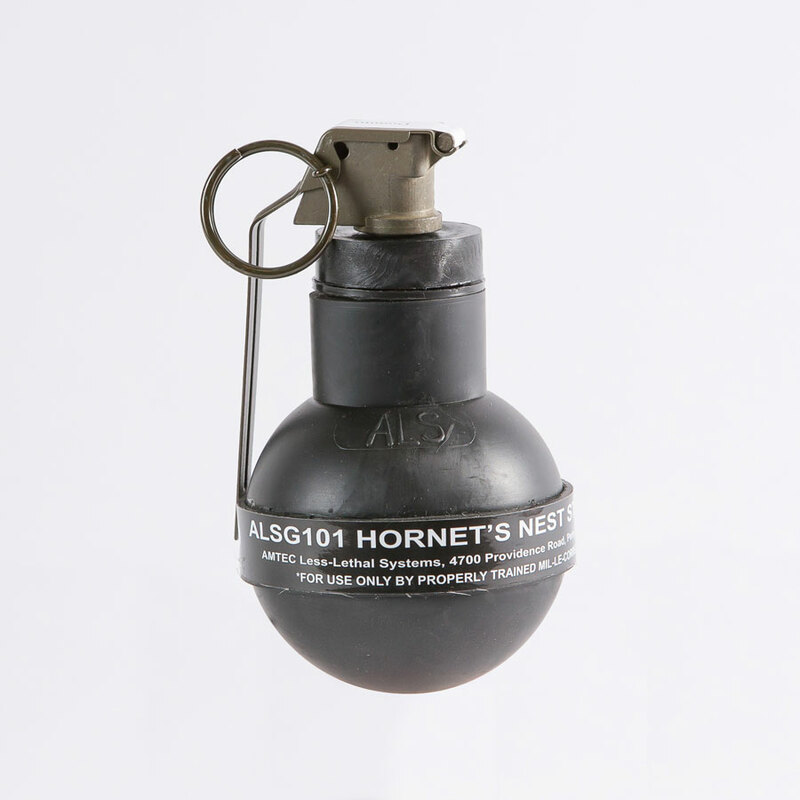 The ALSG10132 is a rubber ball diversionary device that that produces approximately 130 dB at 5 feet, and emits 1-2 million candela. In addition to the light and sound, the ALSG10132 is designed to disperse approximately 180 .32 caliber rubber balls in a 360 degree pattern. Upon initiation, the fuze is ejected prior to functioning of the device, preventing the fuze from becoming a secondary projectile.